SCOTT Quigg says the occasion will not get to him on February 27 at the Manchester Arena when he takes on Carl Frampton in their eagerly anticipated super-bantamweight unification clash. With tickets like gold dust for the clash and the weigh-in – set to be held at the arena the day before – all-ticket due to the vast numbers expected to attend, there is a danger for both men they may lose focus in the final days due to the unprecedented hype and interested surrounding this fight. However, the Bury native insists he will take it all in his stride despite the magnitude of the event and says the expected huge support for Frampton will make no difference on the night. “This is big time boxing. It’s what you’ve got to do and it’s all part of it,” he said of the added media and public duties surrounding this pay-per-view clash. “You have to enjoy it, but there is no way the occasion will get to me. I’ll thrive on it. You want fans for you or against you, not half and half where they aren’t really bothered. “That means the atmosphere on the night is going to be incredible because of both sets of fans. I’ve been to Belfast twice to watch him fight and the Irish create a racket. One interesting sub-plot to this fight that is the fact that Quigg is now promoted by Eddie Hearn whose Matchroom banner used to fly the flag for Frampton. Back then, Hearn famously predicted a knockout win for the North Belfast man should the two ever meet, but unsurprisingly that opinion has changed as he now promotes Quigg. “It’s what a promoter does,” accepted the Bury man who will put his WBA belt on the line. “It’s part of the game for him to back his fighter. He did that when he was with him. “Before he didn’t know me and never saw me train. That punching power has led to some who previously felt Frampton would win a meeting between the pair revise their opinion somewhat with many unable to split the pair. However, ‘The Jackal’ is also a noted puncher and that could lead to fireworks on the night. 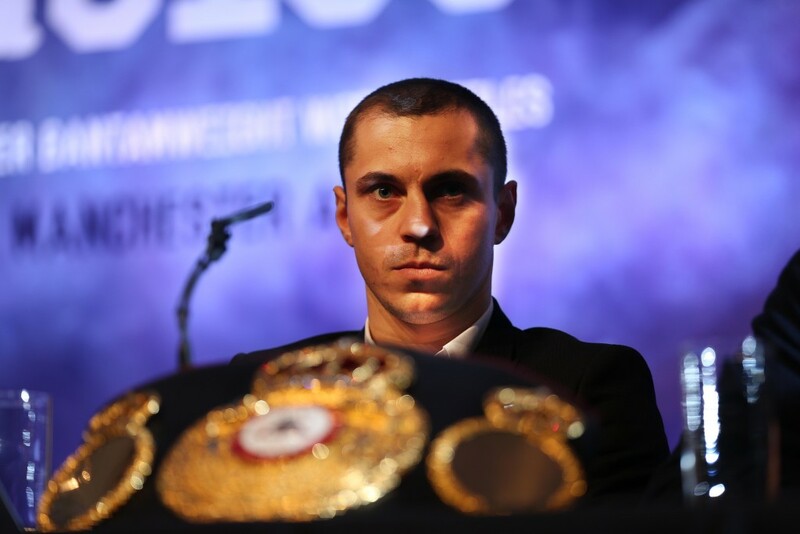 “He punches very hard as well – we are both big punchers,” agreed Quigg.